So, here’s the deal. I had an extremely difficult time trying to decide what should go on this list, and what order it should be in. I started by just making a list (in no particular order) of the albums I really loved throughout the year. That list ended up having 25 albums on it. I managed to cut down to 30, and then got stuck. So I decided I would do my top 20 list, and then have 10 honorable mentions. But even figuring out what order the top 20 should be in proved ridiculously difficult. I’ve been listening and relistening to the albums for the last three days, and have moved bands up and down the list several times each. So, you may completely disagree with what is and is not on the list, and that’s fine. But if the argument comes down to agreeing that “yes album x and album y should both be on the list” but arguing that “album y should never ever ever be ABOVE album x” – well, there is a good chance I probably agree with you to some extend or another and spent the last three days agonizing over it. And my music tastes are so varied, so eclectic (my mother says my playlists are proof I must be schizophrenic or have multiple personality disorder or something), and that makes it VERY hard to compare bands and albums in any fair or useful way. So… just don’t bite my head off about it, okay? Like last year, I am going to go in reverse order, and split this into two posts, 20-11, and then 10-1. And then I might tack on the honorable mentions to the end of the second post, or give it its on post, I’m not sure yet. In any case, here we go. 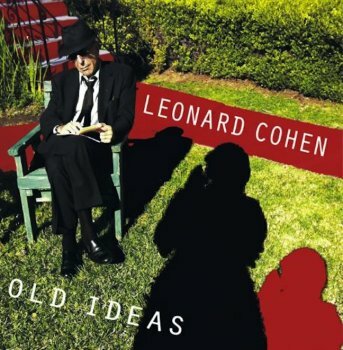 Leonard Cohen is in pretty good shape in Old Ideas. He is, as always, an acquired taste for some people, but I love him. The songs in Old Ideas are beautiful and poetic as always, though they don’t hit me with the some power and emotional resonance as his older albums I’m Your Man and The Future. 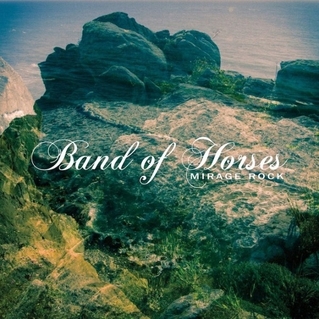 Band of Horses is an indie-rock band (and let me warn you now: there are a lot of those on this list; sorry, I listen to SOME mainstream, but that happens less and less these days). But Band of Horses has a folksy almost-but-not-quite-country undercurrent to them – despite the fact that they use a lot of reverb. They always remind me a bit of the band America. I liked Everything All the Time better, but Mirage Rock is still an excellent album. #17: Night Visions – Imagine Dragons Ah, what can I say about this one? It’s just so much fun. I seem to have a thing for Las Vegas-based bands (that’s where The Killers are from too). I just really love the synth and the dance vibe in this album. 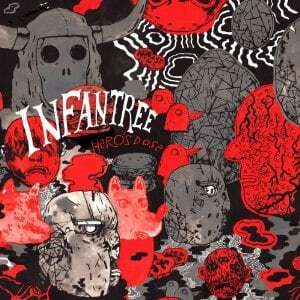 Also, the album cover is fantastic. #16: Grandfather Child – Grandfather Child Let me introduce you to Grandfather Child and their self-named sophomore album. I bet most of you have never heard of them, as they are a local Houston band. And you can thank my brother for introducing them to ME so that I could introduce them to you. They’re a rock band with a healthy mix of country, rhythm and blues, and even gospel. And they are ABSOLUTELY EXCELLENT. Okay, first: I love that the album cover comes in like four different color combinations. It’s so cool! Second, this whole album is fantastic. The whole thing has a wonderful atmospheric dreamy quality (which is fitting since they’re generally considered dream-pop), and it also has a wonderful complicated layered sort of sound, without being overdone. Oh man, I love this album. It’s hard to explain to myself why its so far down the list, except that there were SO MANY albums to love this year. They’re alternative rock, and some people compare them to Muse, but I think they’re a bit less rock and far more laid back than Muse is. Great smooth vocals and fantastic instrumentals that are complex without being overwrought (plus wonderful lyrics), make this band AWESOME. 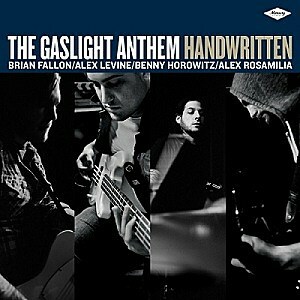 The Gaslight Anthem is a strange cross between a punk rock band and an Americana band. Honestly, that doesn’t make much sense in my head, but it makes perfect sense when you list to them. I really loved their 2008 album: ’59 Sound, but was slightly less impressed with their 2010 release American Slang. Handwritten, on the other hand, is marvelous. It’s good strong American rock. And I love it! I’ll be honest, I know very little about this band. I came across this album completely by accident on Spotify and FELL IN LOVE WITH IT. But I know next to nothing about the band. Even googling them doesn’t turn up much. Their own website, while providing plenty of music and photos, offers absolutely NO context, description, discussion of where they came from, etc. I know they’re from California, that’s about it. These guys are synthy, pop-ish, trippy, versatile, (maybe a bit 70s-ish?) and AWESOME. Just check them out. SERIOUSLY. Okay, I guess I should give the full title just once, even though it’s ridiculously long as usual, so here it is (don’t say I didn’t warn you), *takes a deep breath*:The Idler Wheel Is Wiser Than the Driver of the Screw and Whipping Cords Will Serve You More Than Ropes Will Ever Do. I think Fiona Apple is one of the artists you either love or hate. I happen to love her, and this album (with a typical Fiona Apple longer-than-some-novels title) is powerful, raw, and a bit well… insane (in a good way, of course). Okay, folks. That’s it for now. Wow, that was really long… It took me forever to do all that, and now it’s midnight. Good grief. You can expect the second half of the list either some time Wednesday evening or Thursday morning (probably at midnight again). At that time I will also provide a link to a Spotify playlist with all the albums in order like I did last year. However, if you want to check any of these out they shouldn’t be hard to find online somewhere. In the mean time, please feel free to sound off with agreements, arguments, complaints, predictions, etc. about the list so far. And good night!